Little is known about the megamouth shark other than the fact that it has an enormously large mouth with small teeth. 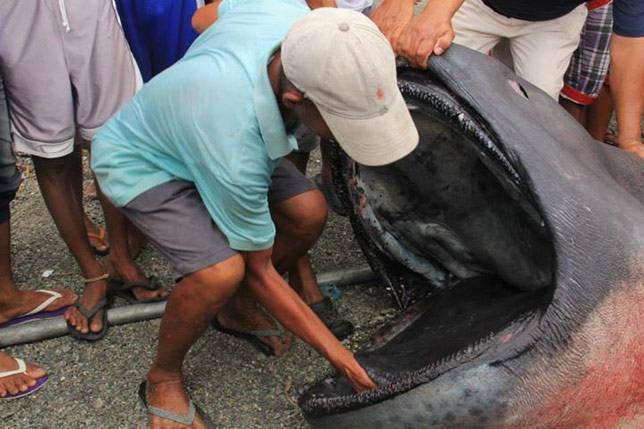 Megamouth sharks, or Megachasma pelagios, are an extremely rare species that aren’t often seen by divers and marine biologists alike. In fact, there are only under a hundred of these rare sharks that has been spotted ever since the species was discovered 41 years ago. The rare species is considered to be a filter feeder and is known for consuming smaller creatures such as krill or plankton. Despite its massive and intimidating size, megamouth sharks are generally harmless to humans.